There are few topics more likely to arouse passion in parents than the education of their children. Parents throughout the world want the exact same things for their offspring. We all want them to be healthy, happy, and successful - although our definition of those things may vary. We expect our children’s education to provide what they will need to achieve those goals – even though we approach that education in millions of different ways. I think we can all agree there is no one right way to educate a child. Each child and each parent is a unique human being with our own strengths and weaknesses and interests and needs. We bring all of that to the table when we plan an educational program – each program is a one-of-a-kind program, even if that program happens in public school. Or on the road. My husband and I opted to provide a very different kind of educational program for our twin sons – a radically out-of-the-box program. 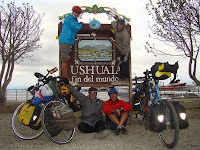 Our sons spent four years riding bicycles 27,000 miles throughout North, Central, and South America. Yep – it was THAT out of the box! 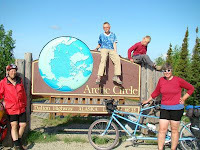 My husband and I – both long-time school teachers – made the decision to take our sons out of school in order to travel our country on two wheels. We spent the boys’ third grade year cycling through nineteen US states and five Mexican states. 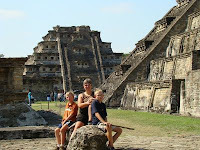 We took advantage of our experiences to help our sons learn about their world. By the time we returned home a year later, all four of us knew we weren’t done exploring the world on bikes. 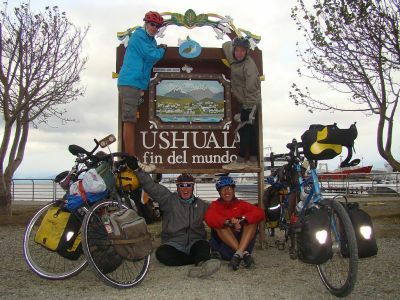 After the boys finished Grade 4, we hopped on bikes again – this time to ride from Alaska to Argentina. It took us three years to ride 17,300 miles through fifteen countries – it was three years of magic. And learning. The beauty of roadschooling is that learning is built into our lives so naturally. As we travel through various countries, we are constantly exposed to new traditions, foods, and cultures. Learning about those cultures comes naturally – it’s not about doing research reports on Wikipedia. It’s about eating lomo saltado in a roadside restaurant in Peru and drinking mate through a straw from a gourd in Argentina. It’s about spraying foam at passers-by during Carnival or hiking to a religious artifact for a pilgrimage in Ecuador. It’s attending classes with school kids in Honduras and Peru and scuba diving with turtles in the Galapagos Islands. While roadschooling, we naturally learned about the Olmecan, Mayan, and Incan peoples – and our sons naturally learned to compare and contrast the various ruins. They learned the differences between llamas, alpacas, guanaco, and vicuña when they cycled past them. 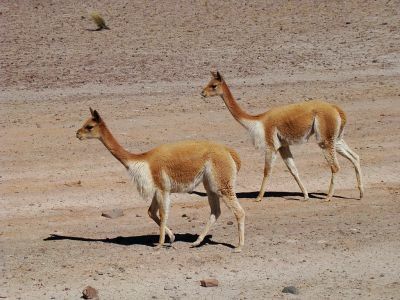 They can tell you with certainty that the Andean Mountains are very different from the Rockies – they’ve pedaled up and over both chains. Family of four cycled 17,300 miles through 15 countries from Alaska to Argentina!